What’s the secret that brands use to get all those thousands of followers on Instagram? 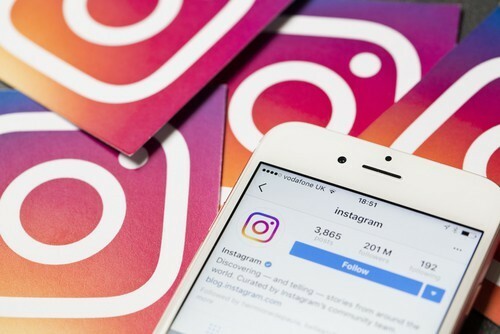 You’d be surprised to learn that just a few simple changes to your Instagram strategy can make all the difference in garnering a massive following, more engagement, winning customers and boosting conversions on Instagram. Instagram has had a significant spike in popularity over the past few years especially with brands. Since 2015, the number of Instagram users has more than doubled, reaching over one billion users! It’s no secret that social media platforms present a major opportunity for marketers today. Modern consumers are glued to their smartphones more than ever, so when you’re looking to connect with your customers, social media is your best bet for success. If you’re one of the first to share a piece of breaking news, you’re going to get the attention and engagement from your audience that latecomers won’t. Stay on top of things that are relevant to your audience. Whether it be current events, industry references or trending topics, this can be a foolproof way to gain your audience’s attention. Be sure to set news alerts or task a team member to keep watch for meaningful events that can be used to reach out to your audience. It’s key to keep your target customer in mind during this process. For example, if you’re hoping to capture the attention of middle-aged entrepreneurs, you might not want to post about whereabouts of a local beauty icon. This tactic is all about tailoring your content to the interests of your target demographic. Instagram’s best tool for engagement, by far, is Instagram Stories. Stories allows you include polls, questions, and hashtags, all of which fuel customer response and participation. Not only will people answer the question you’ve posed, they’ll often engage with you and others over the topic you’ve chosen. Your job as a marketer is to find a topic that really sparks interest, within your niche, then be an active participant in that conversation. As ThriveHive suggests, “Instagram Stories allows you to continue using (or start implementing) frequent posting as an engagement strategy—instead of only “love this” “cool” type of posting—to stay top of mind for your audience.” This means that Instagram Stories gives you the perfect excuse to post content more frequently than ever, which then boosts top of mind awareness for your brand. Often times people check their phones first thing in the morning, at lunch, after work and before bed. Luckily for marketers, if you run a business account, Instagram provides these analytics directly to you. Head to the analytics tab of your account. This is where you’ll be able to see the days of the week and times of day your followers are on Instagram the most. You want to build a cohesive brand image that makes brand recognition a snap for your audience. This way, they can easily recognize your brand when mindlessly scrolling through their Instagram feed. This holds true for your captions too. The tone, length and verbiage in the captions of your post should also maintain a theme. Whether you use humor, emojis, or short anecdotes in your captions, make sure the caption represents your brand as a whole and remains a running thread throughout each post. Just these few simple changes to your Instagram strategy can make all the difference in gathering a massive following, boosting engagement and providing new interest for your business. Contact the experts at Bullseye for all your social media marketing needs and get your business in the spotlight!